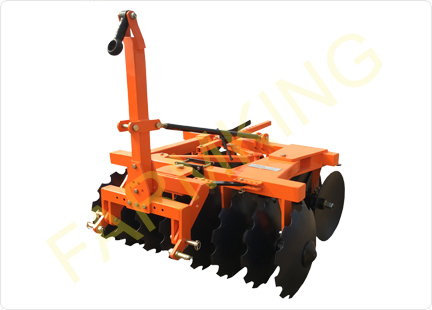 The FARM KING Mounted Heavy Duty Compact Disc Harrow used in open farm workings for the superficial ploughing, for the shatter of clods, preparation of soil for sowing, burial of organic substances and remains. To air the soil and eliminate the weeds. It can be used in light and medium soil. 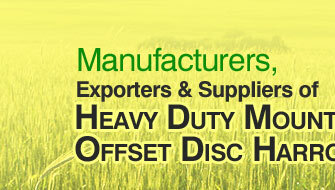 High quality Boron steel discs. 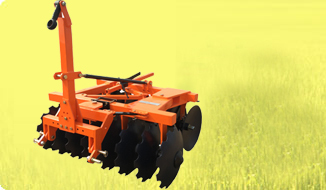 Tillage depth of the harrow is 1500 mm. Easily transportable-as it gets easily attached and mounted. Maintenance is easy but need not to be scheduled. APPROX. WEIGHT 580 Kg. 610 Kg. 640 Kg. NOTE : The contents of this catalogue are only giving information to the end user without engagement from our side. The company can modify SPECIFICATIONS of the total machine and it's components without any previous notice.